← Nuclear Zub in Zummerzet? Those of us keen to see Scotland become a normal country are often fast off the mark when it comes to resenting advantages the South-East of England takes to itself (and hangs grimly on to). So it is with pleasant surprise that you come across a story where it is the Scots modernisers vs supposedly sophisticated Londoners who are being Luddites. For decades, black cabs have been a British institution and their distinctive engine sound in the wee hours has brought hope to many a late reveler standing on a windswept street corner. Unlike most other countries (and most UK private hire firms) which use standard cars as taxis, cities the length of Britain have standardised on the classic design from the London Taxi Company (which is confusingly based in Coventry). Some 130,000 have been built since 1948, with production now running around 2,000 per year. Despite having had several design revamps, the black cab is basically still a vintage vehicle but, as such, much loved by Boris Johnson, whose nostalgic streak has brought back the classic red Routemaster London bus and is such a fierce fan of the black cab that he forbids Transport for London to license any taxis that are not LTC design and provenance. Up until recently, many English cities quietly followed suit. But not far from Possilpark on Glasgow’s Balmore Road is a Scots success story where two brothers have built a garage into Allied Vehicles, turning over £80m a year in building as many as 4,000 of their version of the black cab, the E7. This is based on the chassis of the Peugeot Partner, which is totally rebuilt to strict reliability, disability and environmental requirements. It is so popular that Allied have captured around 90% of the market outside of London but is being prevented from penetrating that market by Boris & TfL holding the line for the old design. This may not last. Allied are no shrinking violets, taking the City of Liverpool to court for anti-competitive obstruction and winning. The excuse Boris/TfL are using to resist their better product is that the E7 cannot achieve the legendary 25ft turning circle of the LTC black cab. Allied’s response is that this requirement dates from when U-turns on busy streets were legal and less dangerous and far less important in the maze of one-way streets that now predominate in Central London. 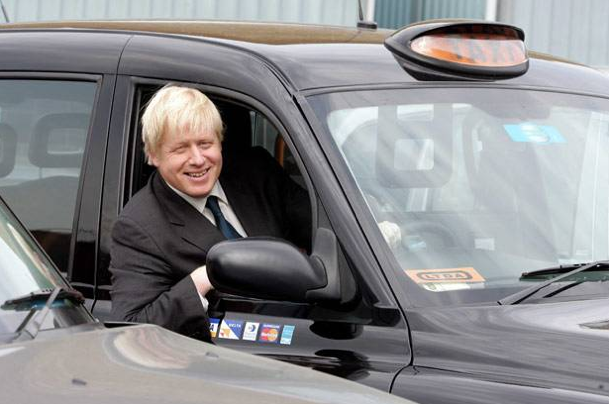 With Allied developing private hire and electric versions, can the black cab walls of London long remain unstormed? Perhaps the funniest part of the whole story is not just that LTC is no longer based in London but its former Coventry-based owners, Manganese Bronze (originally themselves Victorian makers of ships’ propellers) last year went into administration as a result of a gearbox fault in their latest TX4 model black cab that caused a costly recall. 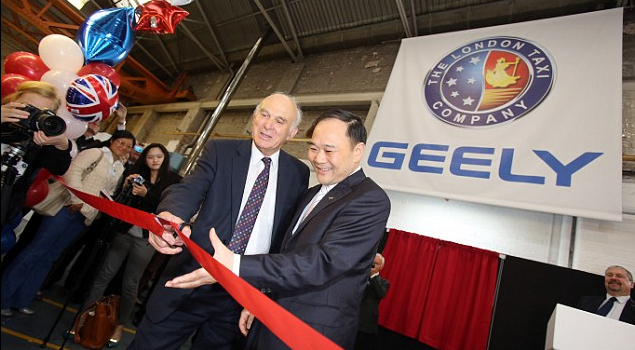 “I am delighted that Geely has successfully secured the future of the London Taxi Company, ensuring the continuing manufacture of (an) instantly recognisable vehicle synonymous with London”. This entry was posted in Commerce, Transport and tagged black cab; Boris Johnson; Allied Vehicles. Bookmark the permalink.